Going into The Force Awakens, I had one criterion: did it deepen my appreciation of the previous films? If the answer to that question is yes, then it's a true Star Wars film. The magic of the original Star Wars trilogy is that every movie enriched its predecessors. As a result, the total was always greater than the sum of the individual parts. If there had only been A New Hope, we would have had a wonderful fairy tale set in space. But The Empire Strikes Back and Return of the Jedi transformed Episode IV into a mythical epic. By this yardstick, the prequels (Episodes I, II and III) were dismal failures - no surprise here. Rather than increasing our appreciation of the original trilogy, they cheapened it. Darth Vader shrunk to a greasy teenager, and the Force was reduced to microscopic bacteria. And by this same criterion, The Force Awakens is a great success: Leaving the theatre, I found myself thinking new thoughts about the original trilogy. My imagination is kindled. The idea which has the greatest hold on me is the relationship of Star Wars to Zen Buddhism. There has already been a lot written on Buddhist influences on George Lucas... that the movies have a "Buddhist heart" or that Buddhism is part of "the Jedi philosophy". 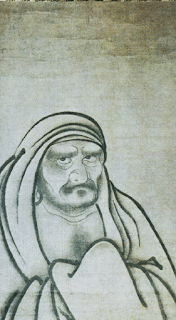 I'm both a student and a teacher of Zen, and in the past, I've been pretty skeptical of these interpretations. Whatever of Buddhism was in the earlier movies always struck me as superficial -- for instance, anyone who's ever tried Zen meditation will tell you that it doesn't teach you to control or suppress strong emotions like anger (although meditation may assist you in perceiving your emotions and accepting them for what they are). And sadly, Zen meditation will not allow you to choke people with your mind. I have tried. Be that as it may, The Force Awakens has compelled me to re-evaluate what Zen and Star Wars have to say to each other. Not that I believe Buddhist morals were at the front of the screenwriters' minds. Rather, my view is that the screenwriters (Abrams, Arndt & Kasdan) were thinking deeply about what it means to pursue a path of mind-training, and in doing so, they encountered certain paradoxes -- paradoxes which Zen Buddhists have been thinking about for centuries. The first of these paradoxes is what we could call "the fallacy of the happy ending". I loved the fact that The Force Awakens opens with the Rebels/Resistance struggling for survival. Although the second Death Star had been destroyed and the Emperor had been killed 30 years before, things are as bad (or worse) -- it was almost like Return of the Jedi never happened. What about Luke's mastery of the Force? Wasn't he supposed to fix everything? It's possible that such a breezy dismissal of the heroics from the original trilogy annoyed some fans, but I thought it was a bold move. You will encounter one of the profound mysteries of Buddhism if you ever meet an enlightened Zen Master or a Tibetan Rinpoche or a similar teacher with a recognized spiritual attainment. The interesting thing about these people is that -- although they are usually wise and helpful -- they are also alarmingly human (especially if you see them up close). All their attainments don't necessarily make them any better at navigating life. Indeed, a few of them are dicks. This mystery is encapsulated in the old Buddhist saying "After enlightenment, the laundry". That is to say, after you have scaled your spiritual mountain, you will find that life isn't so different than it was before: you have the same personal failings, the same chores, the same problems. There is another Buddhist saying: "How do you go higher than a 100 foot pole?" After you've climbed to the top of the holy mountain, where do you go from there? This is the dilemma facing anyone who's experienced any kind of spiritual insight, Zen Masters and Jedi alike. Where do you go from there? Do you expect to soar into the sky, like an angelic being? Good luck. And if that doesn't happen, how will you climb your way down this high pole so that you can resume life with both feet on the ground? There's no answer to these questions: it's part of the mystery of meditation. The laundry continues to pile up. The same personal failings stare you in the face. Your best hope is that you have a different perspective on your failings, chores and problems. All of which is to say, Luke's failure to solve the Galaxy's problems was a great place to start the new trilogy. A master who faces the same difficulties he did as a youth is an authentic portrait of the later stages of a spiritual journey. 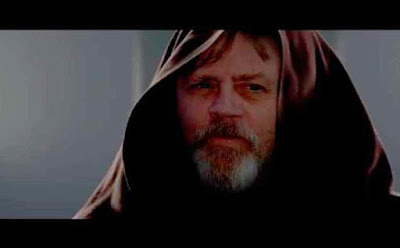 The sad and enigmatic look on his face at the end of The Force Awakens suggests that this is a man who has seen his deepest failures unfold after his greatest successes. The path of the adept has no final, happy ending. Indeed, it has no ending at all. Endings are beside the point. 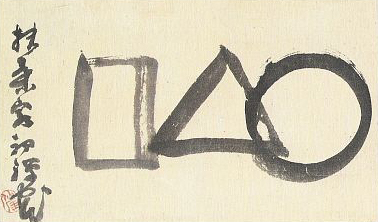 The second echo of Zen in The Force Awakens in raising the idea of non-duality. That is to say, the original trilogy was all about the duality of the Light versus the Dark side of the Force. 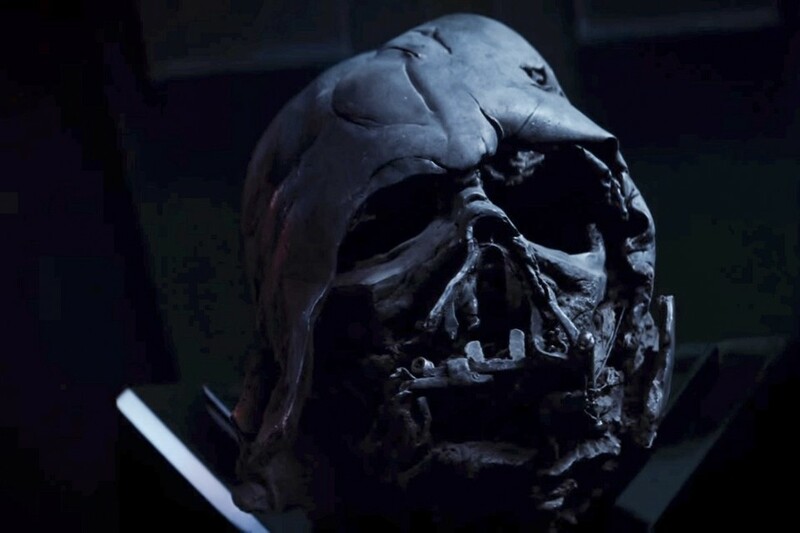 At the end of Return of the Jedi, both Luke and Dark Vader embrace the Light, reject the Dark and finish off the evil Emperor. This is a pretty traditional take on the hero's journey. However, as we've already discussed, this triumph of the light wasn't permanent, or even particularly long-lasting. At the beginning of The Force Awakens, Lor San Tekka speaks of finally restoring "balance" to the Force. The importance of balancing the Force is later echoed by Han Solo when he talks to Rey and Finn. It's a little too early to tell where exactly the new trilogy is going with the Force, but I hope that this talk about balance indicates that the filmmakers are trying to get beyond the eternal contest between dark and light, and explore what it means to achieve a synthesis between these two extremes. 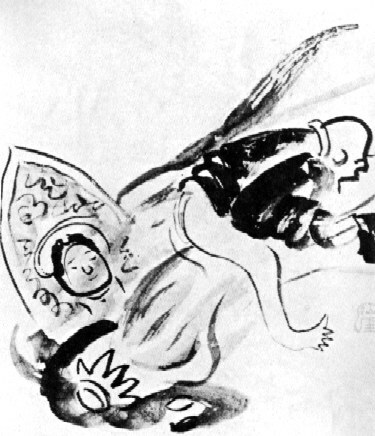 Traditionally, early Buddhism drew a distinction between the purity of the enlightened mind and the delusion of the ordinary, dualistic mind. One was desirable and good, the other was undesirable and bad. 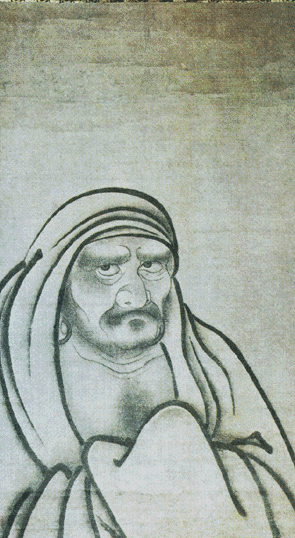 However, one of the most important innovations of Zen Buddhism was the insight that perceiving a difference between enlightenment and delusion is itself a delusion. After all, drawing a stark line between purity and impurity is a pretty dualistic thing to do. Thus, Zen teaches us that meditating in order to free yourself of delusion is counter-productive, because it just perpetuates a dualistic mind. This idea is often encapsulated in the phrase: "Medicine cures the disease, but what cures the medicine?" According to Zen, the only truly helpful meditation is meditation that doesn't try to actually make you a less deluded person. The goal is to have no goal. As one of my favourite Zen teachers says, "Every day, in every way, I am giving up on the idea of self-improvement." How does this relate to The Force Awakens? 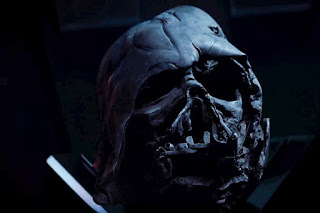 I see in the character of Kylo Ren someone who is trapped in the jaws of dualism. His problem isn't that he has joined the Dark side -- his problem is that he is torn in between Dark and Light -- indeed, that's what he tells Han Solo. Both sides of the Force clearly have some purchase in his heart, yet he wants to be absolutely one or absolutely the other. His inability to settle on one side makes him miserable throughout the movie. He has no balance. My hope for Episodes VIII and IX is that they fully explore what it would take for peace to come to a character like Kylo Ren. In my view, it is not simply embracing the Light side, which would ultimately amount to an unsustainable act of self-denial. A simple triumph of Light is what we got in the original trilogy. The result, as we now know, is just more laundry. Rather someone like Kylo Ren needs a cure for the disease, but he also needs a cure for the medicine. Glad you liked it my friend. I had a simple criteria, if my star wars made 7 and 5 year olds liked it then its a good star wars film. To me Star wars is a kids film that happens to be good entertainment for adults. Turns out my eldest gave it -5 out of 100. I can see where he's coming from but we are a family that LOVES the clone wars trilogy and the TV series that came out of it. High space opera of the best kind. If a kid that spends most of his life watching, playing or reading about starwars really shld have come mout of the movie loving it for it not to be a faliure in my book. I have hopes for Episode VIII but I guess without Lucas it just isn't our starwars. I always like hearing from people who enjoyed the prequels, because my own mindset is so different -- I can't see a lot of good in them without a little outside help. And so I really take your point about "high space opera". Ultimately, that's exactly what SW is all about... which is why it's always a mistake to take it too seriously (a mistake I'm sure I flirt with). I don't know the TV series very well, although I saw one episode of Star Wars Rebels and thought it was really good - I'm looking forward to binge watching that show some time. Rebels is good, the boys like it but the clone wars series really is very good. If you have netflix the whole series is free to view in Canada. Abrams and deep thought don't go together, but the meaning is in the audience's reaction to the movies, not the director's intent. I remain sceptical and the Force is so much handwavium.